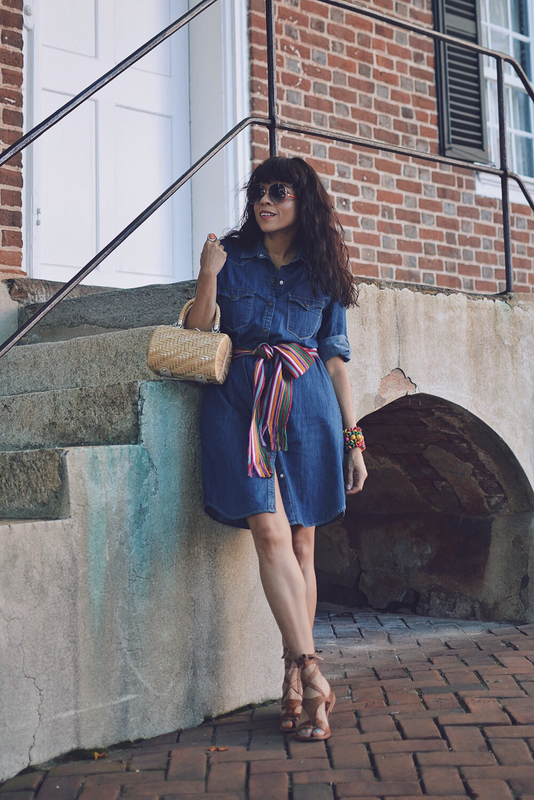 A denim dress can be as practical and versatile as a pair of jeans, and when it's a button-down, it's even better. 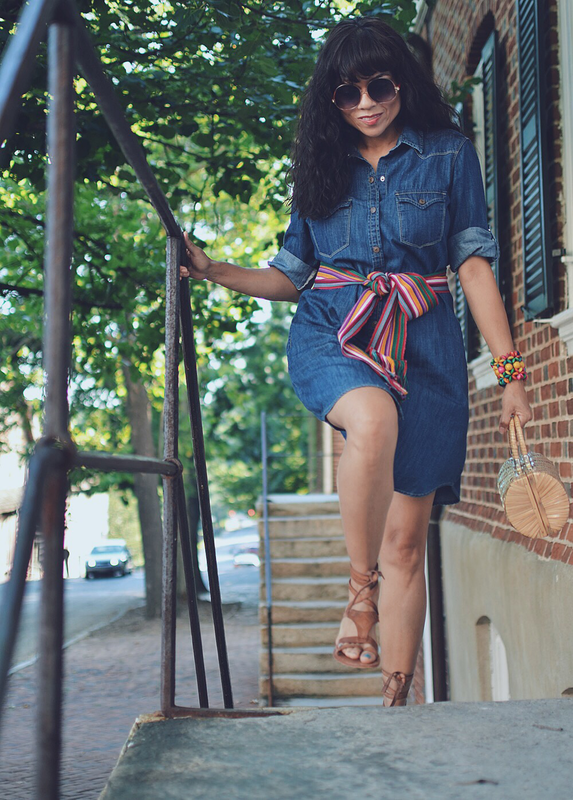 I purchased this denim dress last year and since then, I've enjoyed every aspect of it. In this opportunity, I wanted to bring a picturesque touch to my classic dress and what better than to style it with colorful ethnic accessories. This is a neat look to wear on a weekend; maybe for going to the market, going for Sunday brunch or for hanging out with friends. You are welcome to check out how I styled this dress to go to a vineyard here, for a small town fair here and for date-night movie here. Dress: Mango. I found a similar style here. Sandals: Free People. See a newer style here. Sash: Handmade in Perú. Similar here. Bracelet: Handmade in Kenya. Similar here.